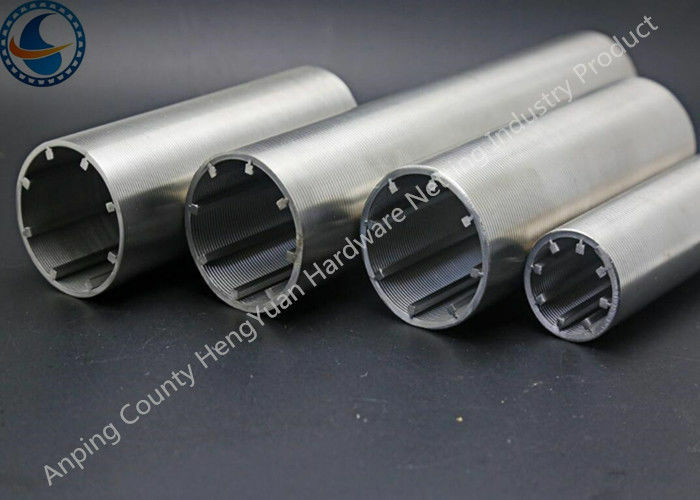 Wedge wire screen tube also called round slot tube. It is made of stainless steel wire, which is the most popular type because of outstanding chemical stability and corrosion resistance. The wedge wire screen tube is composed of working profile and support profile. It is produced on an automotive machine. The support profiles are placed on the suit position of the machine, during the surface profiles are spirally wounding, the support profiles are welded onto the surface profiles. There are two types of wedge wire screen tube seen from the surface. One is the normal types, which has continuous and regular angles on the edge. It is economical, which is suitable for the applications where the accuracy is not very strict. The other type is the perfect round type. It is produced by the strict standard, which has better filtering accuracy than the common type. Additional, the perfect round type can be used in the most precise machines and complete the arduous filtering task. 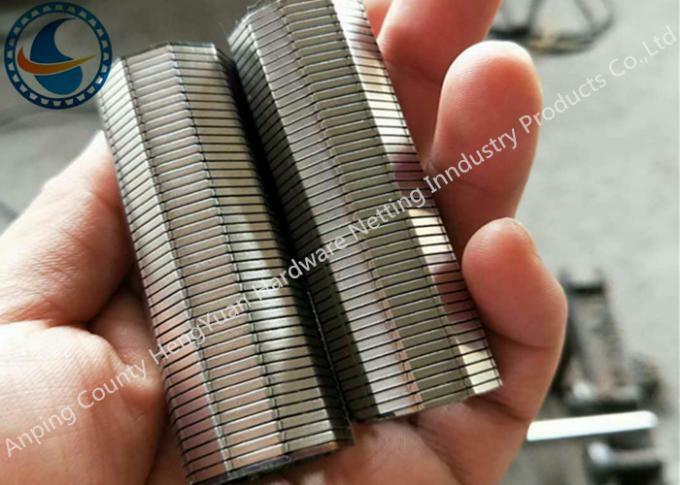 Our mainly products are :stainless steel vee sharped wire /wrap wire,Johnson screen ,water well screen/rod based wire wrapped screen,wedge wire screen pipe,reverse wedge wire screen, screen nozzle /water and gas strainer, sieve plate, slot mesh, ARC screen,header and hub laterals &hub radial laterals, pipe base ,crimped wire mesh/stainless steel wire mesh/perforated wire mesh etc.